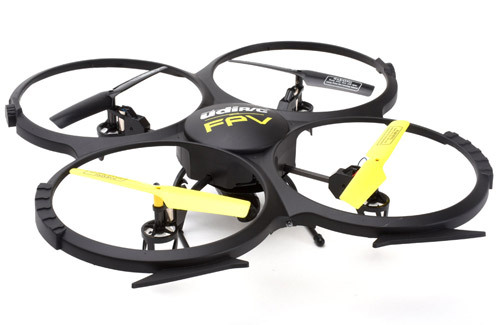 UDI's U46W Firefly is ideal for indoor flying thanks to the compact and lightweight design. 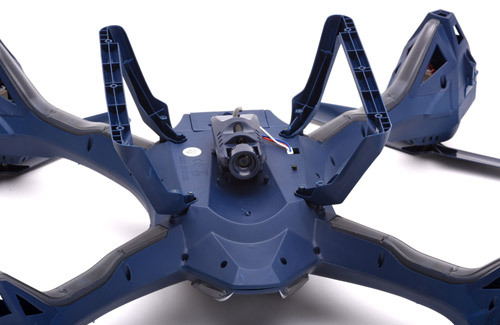 The three blade propellers and carefully designed blade guards reduce noise and produce quiet and efficient power whilst helping to reduce damage in the even of a crash landing and improve safety. 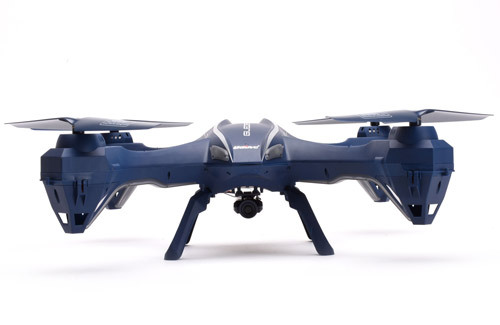 You can record your flights through the APP straight to your phone. 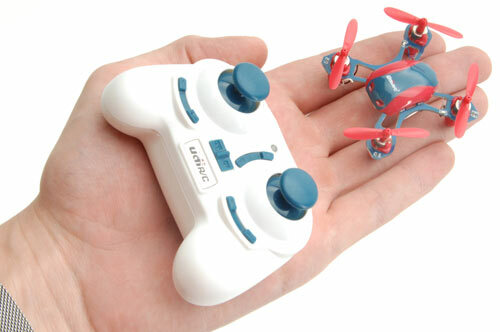 Control comes from either the pocket sized controller or your mobile using the built-in WiFi system. 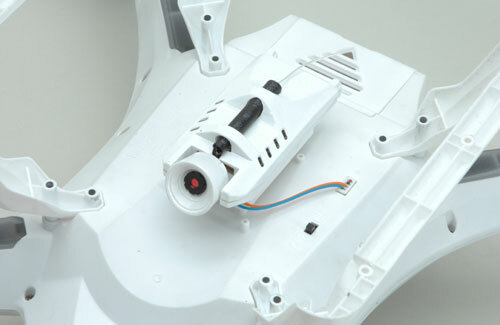 The built-in WiFi can send back video directly to your mobile device (not included) in real time. 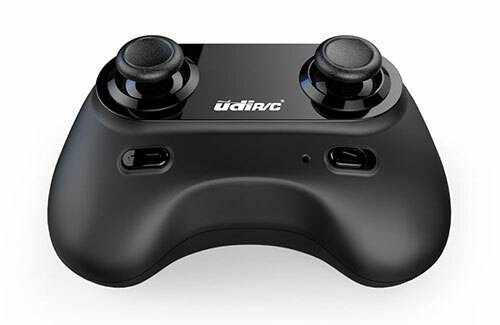 This versatility means that you can use the intuitive game pad style controller or use tilt-control from your phones sensors for a different experience. 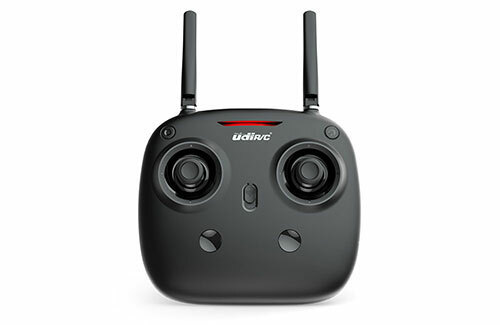 Using UDI's option FPV goggles (sold seperately) you can use the phone WiFi and the controller together to give you an onboard view as you fly! 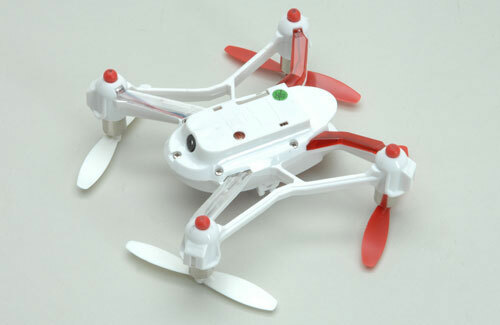 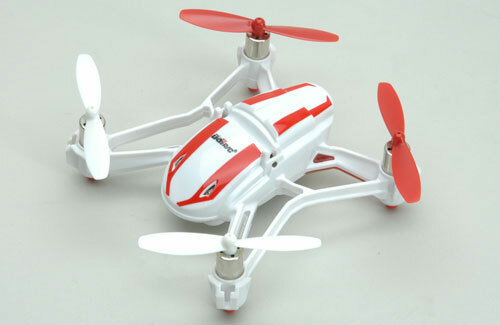 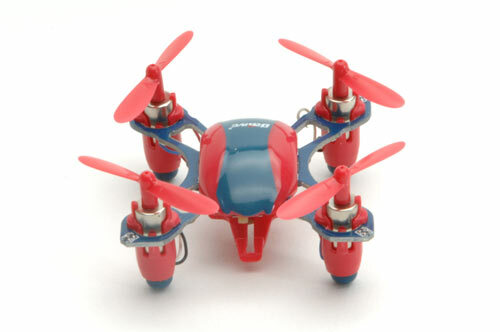 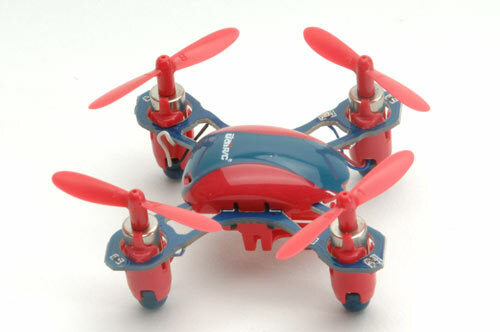 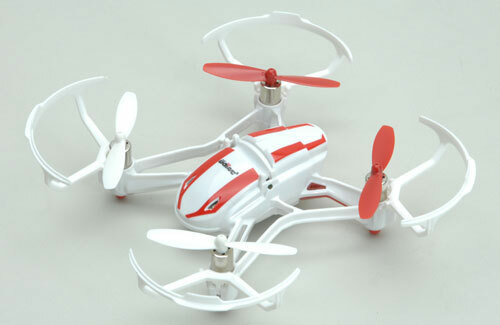 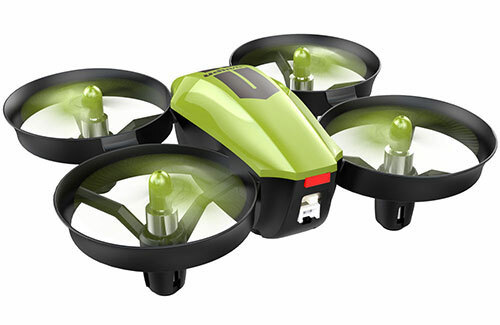 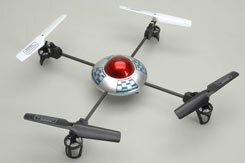 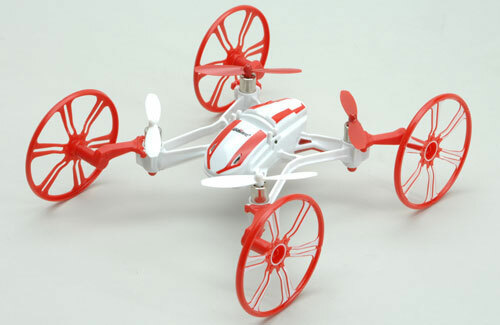 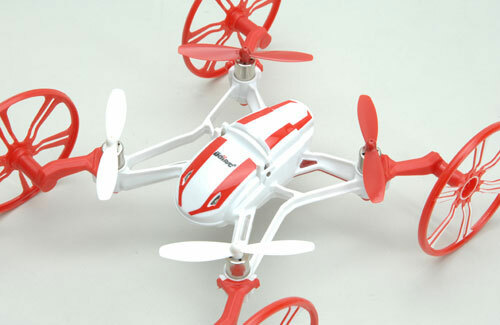 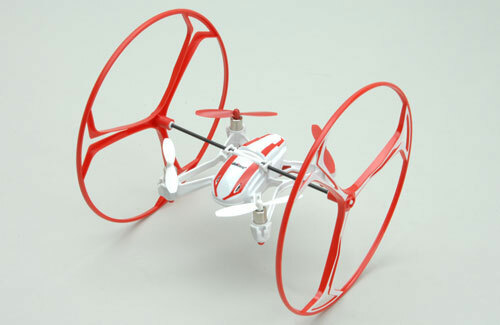 The UDI Firefly is lightweight, small and durable making it the perfect drone for fun indoors! 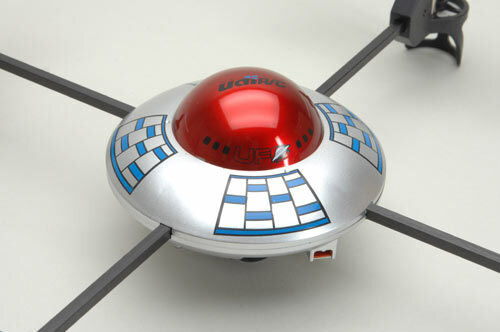 The UDI UFO is the big brother to our immensely popular Micro-UFO, and features the same excellent 2.4GHz transmitter. 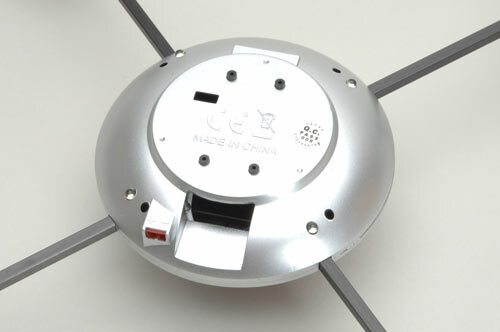 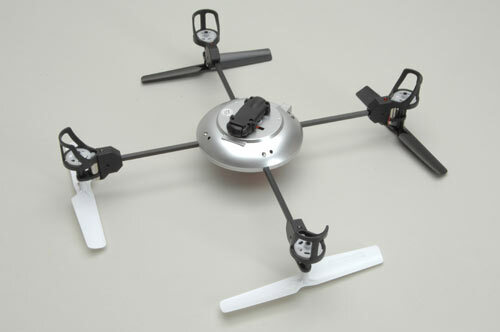 6 axis gyro (3 gyro + 3 accelerometer) stabilisation is built-in to the on-board electronic system, which holds the quad superbly in the hover, and the large, torquey rotors offer instant changes of direction and manoeuvrability. 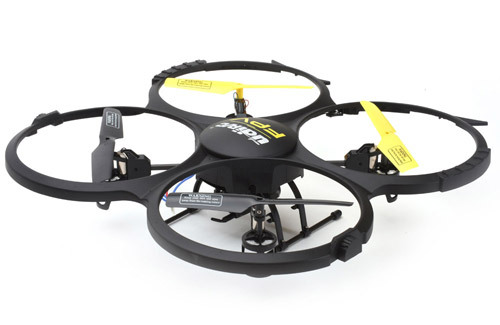 The included Li-Po gives flight times of around 7 minutes. 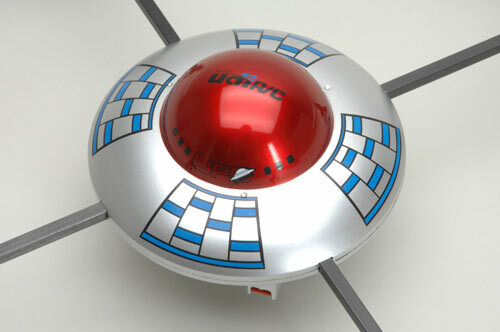 The UDI UFO is the big brother to our immensely popular Micro-UFO, and features the same excellent 2.4GHz transmitter and an on-board camera. 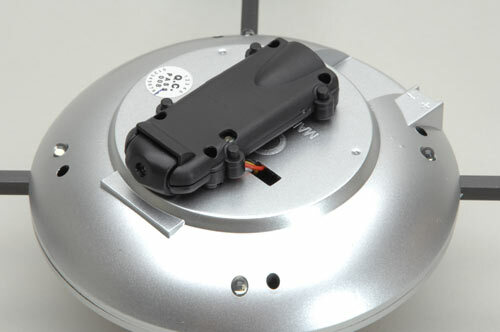 6 axis gyro (3 gyro + 3 accelerometer) stabilisation is built-in to the on-board electronic system, which holds the quad superbly in the hover, and the large, torquey rotors offer instant changes of direction and manoeuvrability. 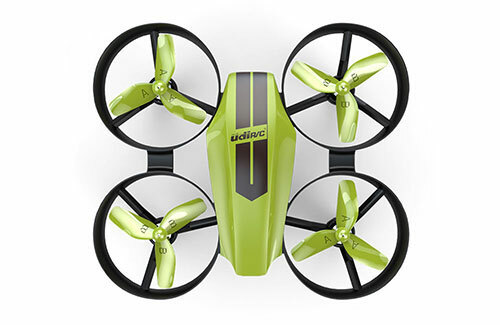 The included Li-Po gives flight times of around 7 minutes. 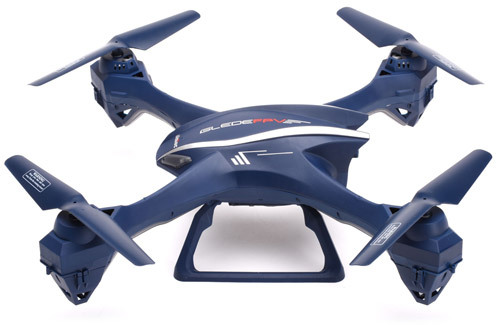 This version includes an on-board camera that records onto the included 1GB Micro SD card. 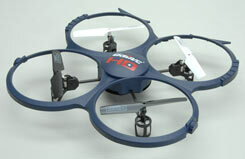 The transmitter controls the functions, and both video and still shots can be taken whilst in flight. 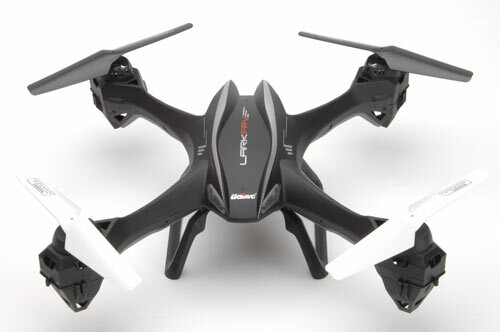 The UDI U818A-1 Drone Camera Quad is and evolution of the U818A but it features a higher definition camera with stunning picture quality and resolution (1280 x 720px at 30FPS). 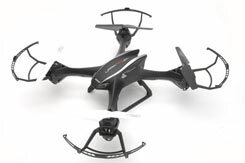 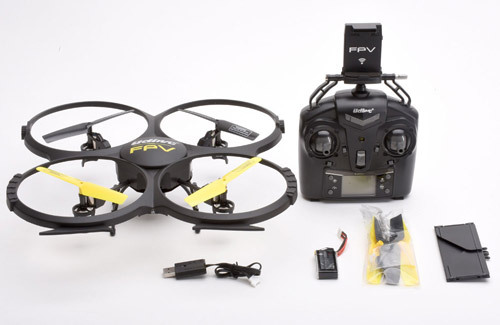 It features the same excellent 2.4GHz transmitter, a clever 6 axis gyro (3 gyro + 3 accelerometer) stabilisation built-in to the on-board electronic system helping in the hover and smooth forward flight. 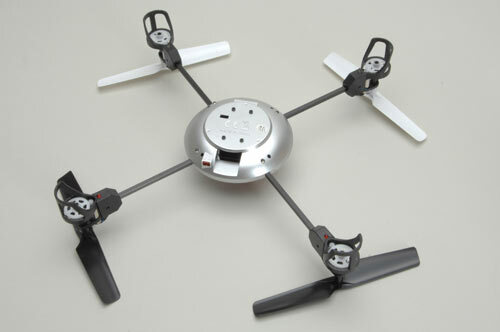 The large rotors offer instant changes of direction and manoeuvrability. 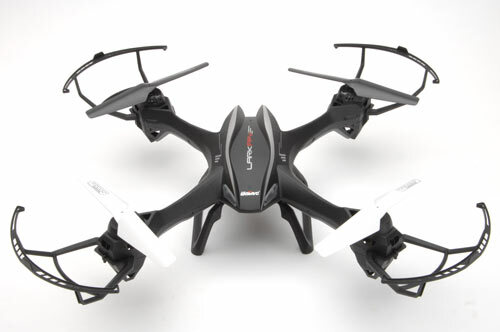 The tough moulded plastic surround around the propellers helps to reduce damage to the quad and whatever it might hit during use, whilst also aiding in orientation and looking cool in stealth black. 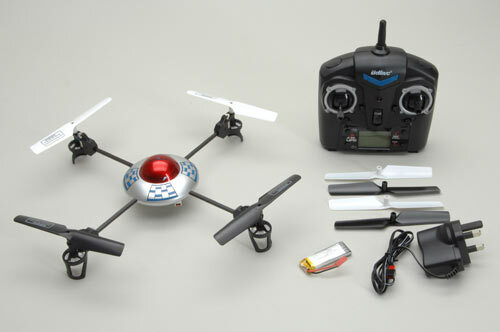 This version includes an on-board video camera that records onto the included 1GB Micro SD card. 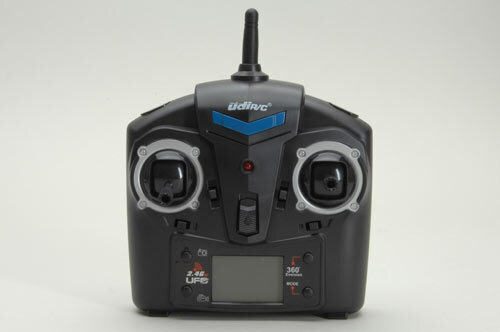 The transmitter controls the functions, and both video and still shots can be taken whilst in flight! 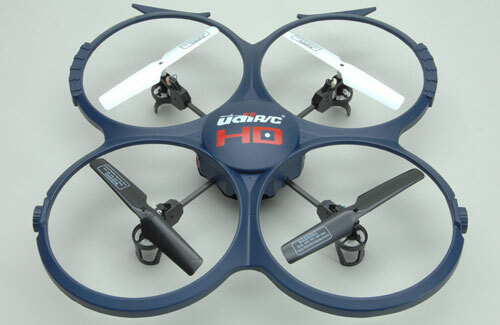 The UDI Discovery 2 WiFi comes equipped with a rubber damped HD camera with a 120� wide-angle lens and WiFi capability. 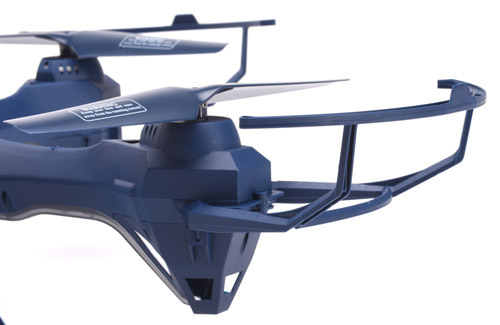 Perfect for outdoor selfies and scenery shots of fantastic locations. 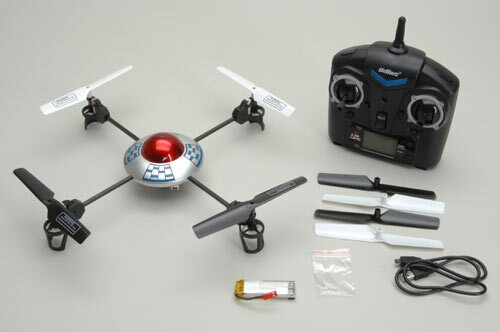 Supplied in RTF format you only need at add 4x 'AA' batteries for the controller and charge the flight battery to be ready to fly. 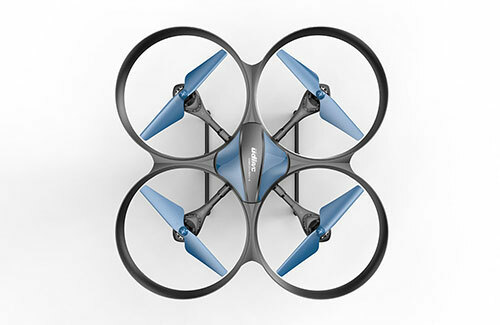 Using the One button take off feature the drone can list of to waist height with no other input and using the altitude hold you can learn to fly with minimal control input. 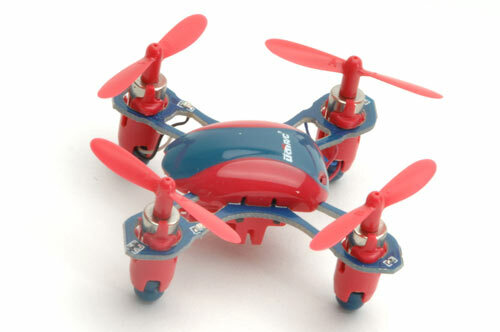 The Discovery 2 improves on the previous Discovery in numerous areas making it the ideal introduction into RC flight! 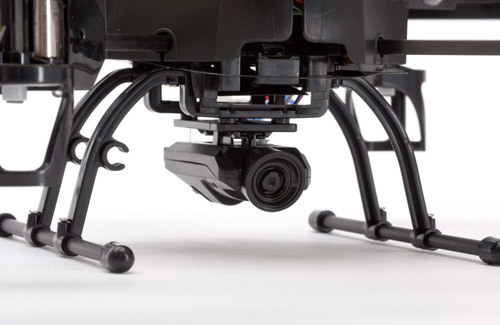 The HD camera has a 120� capture angle for high quality footage 1280 x 720px footage and thanks to the rubber dampening mount that video is smoother than any UDI drone before it. 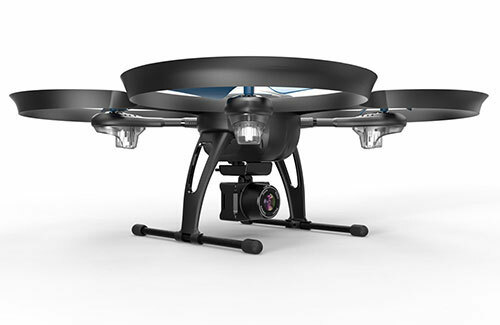 The camera is capable of video or photos and is activated using the FlyingSee APP. 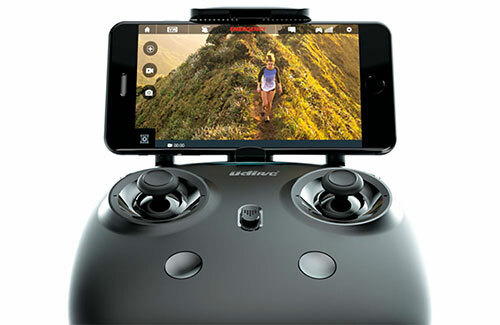 Footage is stored directly onto an onboard MicroSD card (not included) and accessed via the FlyingSee APP Wifi connection. 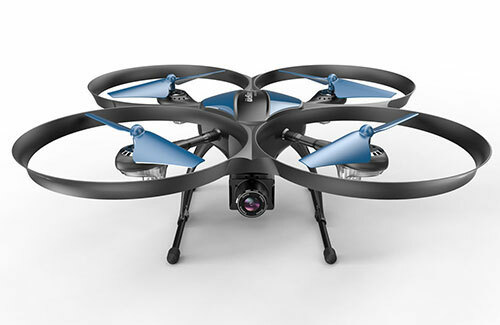 The stylish controller allows for far more control range than the WiFi connection and the control sticks give more intuitive and precise control for pilots wanting to get the most from the Discovery2's flying capabilities. 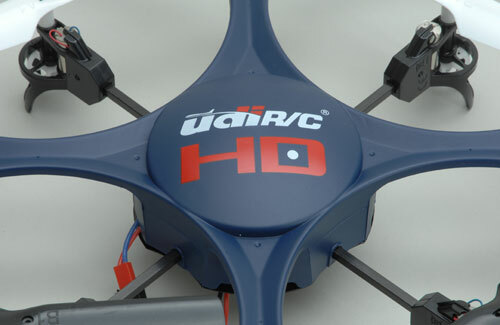 The UDI-Wing comes equipped with an 'Altitude Hold' feature for easy and precise flying. 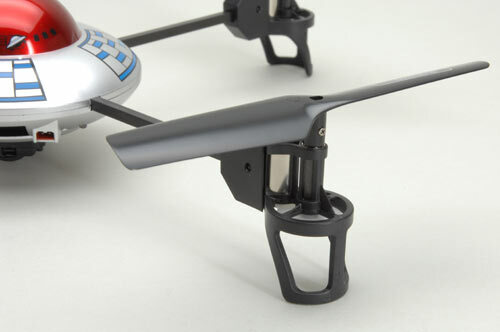 The built-in sensors hold the drone at the height you are flying at to give you an even more stable quadcopter. 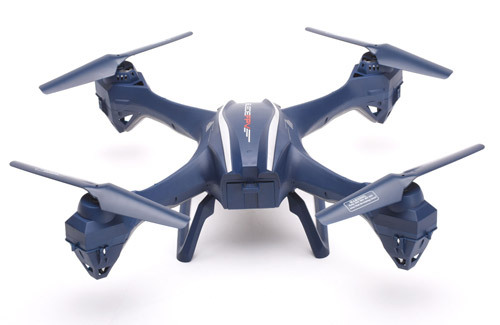 If you move the throttle stick forward the drone increases it's height but when you centre the throttle the model 'locks-in' at its current height until you tell it what to do! 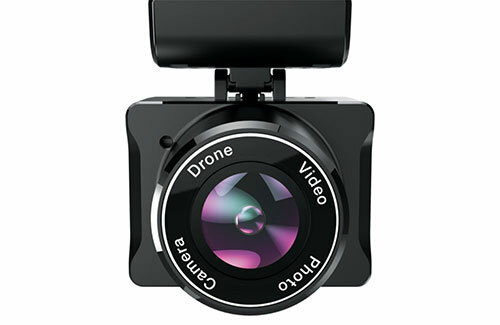 This makes it easier for beginners and also makes for smoother video at a constant height. 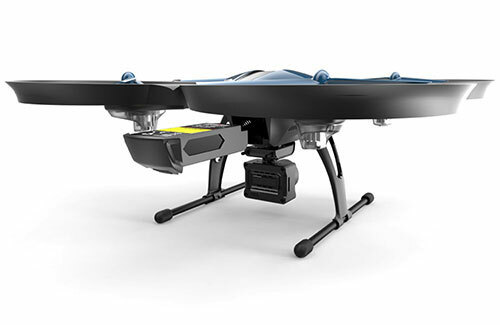 The built in telemetry can alert you then your drone battery is running low on power. 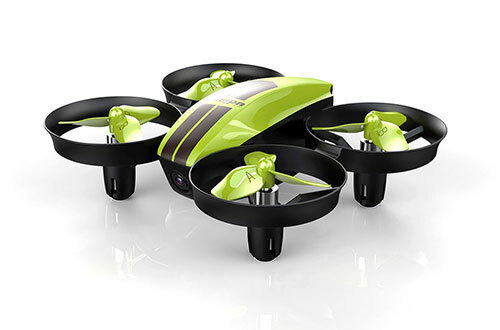 The controller will sound beeps as an alarm to remind you to fly the drone back and land. 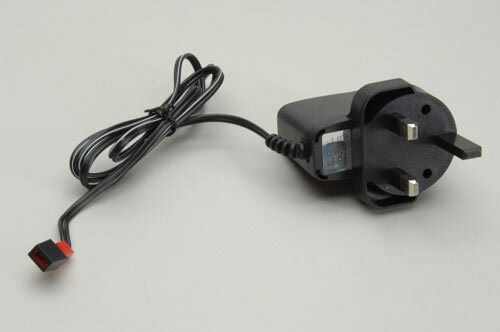 A USB charger is supplied for easy recharging. Simply plug into a standard USB port (such as a phone charger, power pack or computer) and connect the drone battery to the other end. 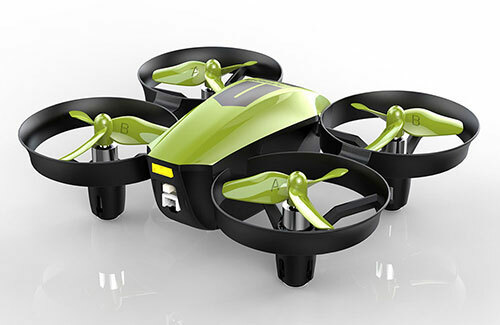 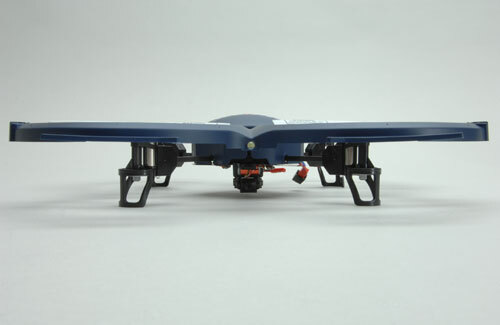 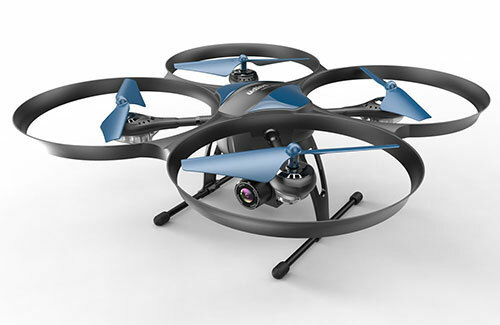 Note: An Android or IOS mobile device is required for use and is not included with this drone. 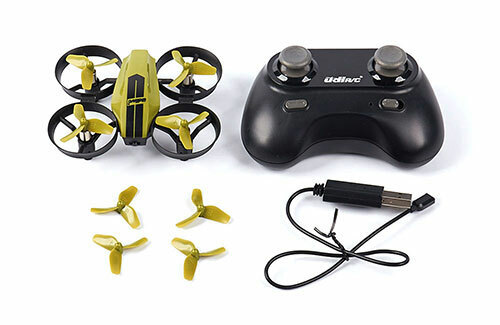 The UDI u818a wifi fpv rc quadcopter with hd camera is one of the best beginner drones on the market, much like its predecessor the UDI 818A RC Quadcopter in terms of style, they both have 4 safety-protected propellers and made of impact-resistant plastic parts that are durable and easy to replace. 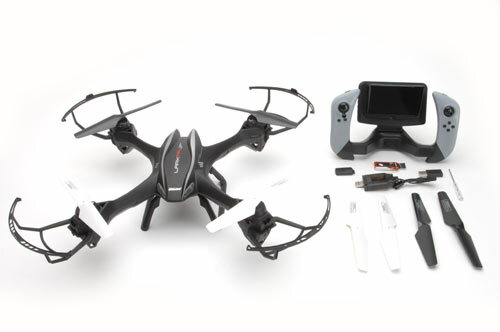 This cool new drone offers beginners the opportunity to try FPV on the cheap, Easy to set up, simply pair your drone and mobile device to catch live video and photo feed through the 2MP forward-facing camera that takes great HD video and HD photos with intense color and precise white balance. 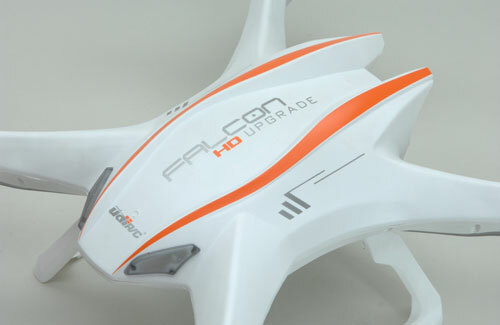 The video resolution has been upgraded to 1280*720 at 30 FPS. 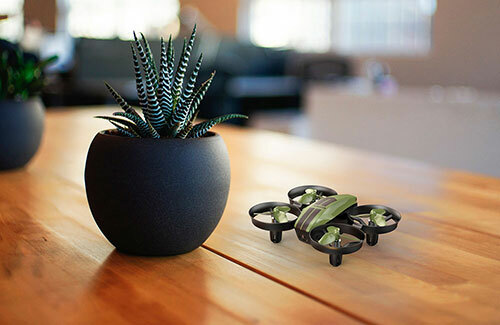 The removable Micro-SD (TF) stores enough footage to last you several flights and saves in AVI and JPEG format making them easy to upload and share. 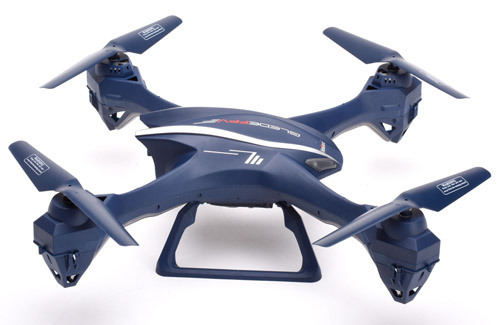 Equipped with LED running lights and remote control signal light for a realistic look during night time flight. 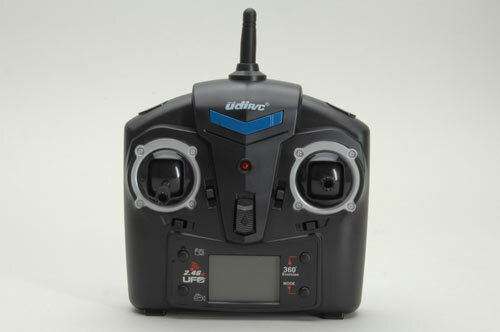 The Radio is slightly different on the newer version than the older version. 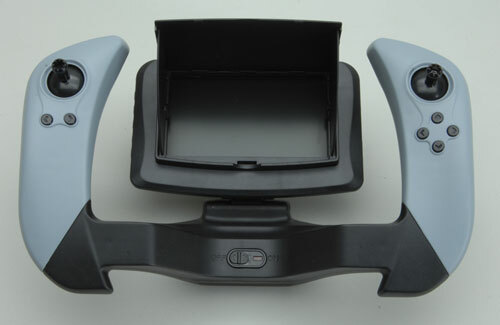 The left top trigger button is your flip button for an instant 360� roll, the right top trigger button is for �headless� control and signal lights on and off, then of course you have a photo button to snap pictures, a video button to start and stop recording. 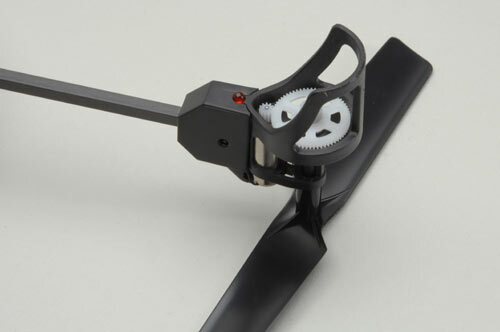 One feature that most find very useful is the high and low speed mode button. 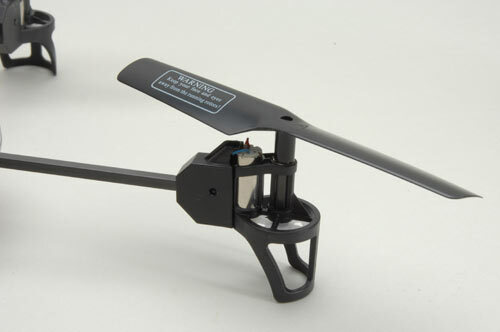 When you start flying, in low mode and it moves slowly based on your remote inputs. 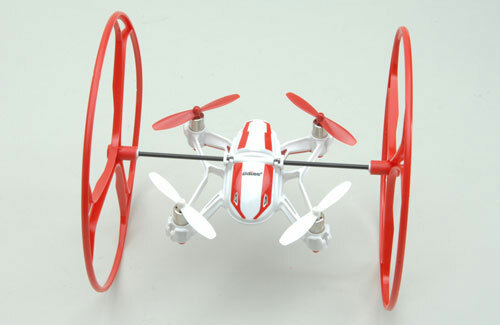 Switch it to high and it moves very fast and is nimble. 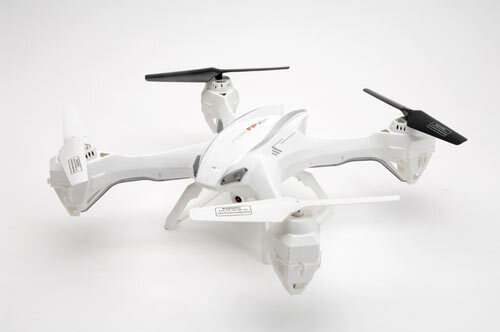 Charge Time: 90 � 120 min. 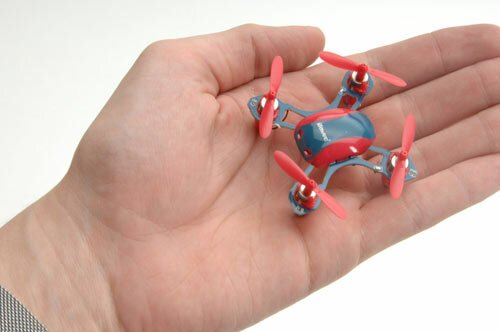 So you thought Udi�s U839 Nano Quad was small? 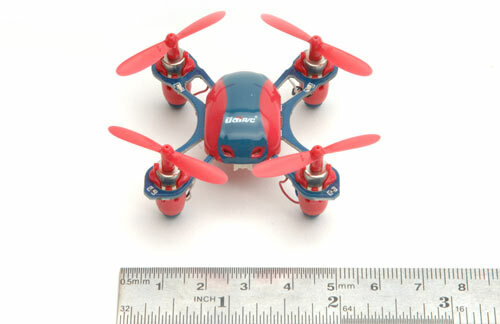 Take a look at their new Mini Nano 2.4GHz - it redefines the word small! 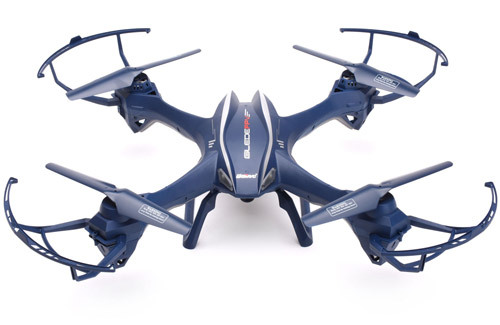 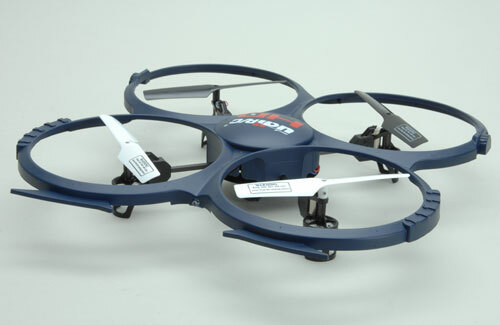 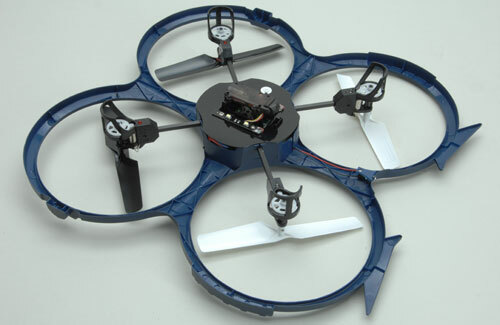 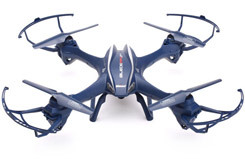 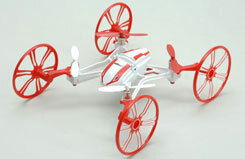 Don�t think that the reduction in size reflects on quality - this model is every bit as agile as other UDI quad copters! 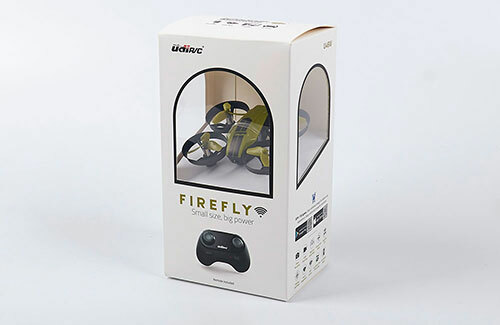 Supplied ready to fly in a stylish presentation box it makes for the perfect gift - simply purchase 2 �AAA� batteries in order to get airbourne. 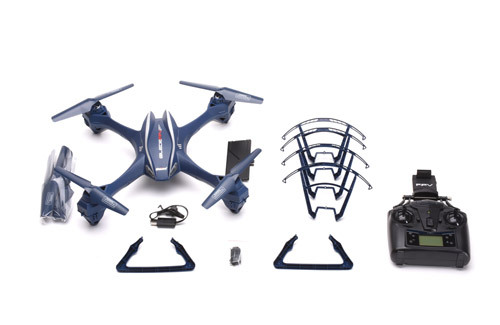 • 4 different flight combinations! The U841 is UDI�s most versatile quadcopter to date because it can be built into 4 different configurations. Firstly there is a �minimal� setup with no accessories, this gives you the optimum flying performance and least weight. 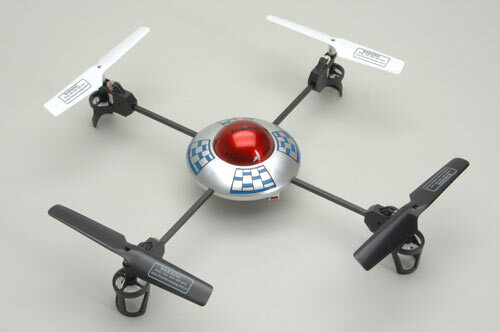 Then you can add the guards to that for added protection as you get used to it or for flying indoors. 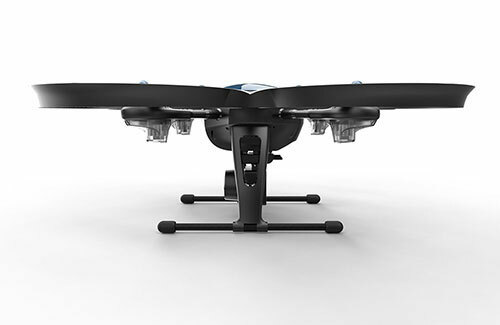 Then there is a �car� setup, this has 4 wheels and allows you to drive the quadcopter along the floor. 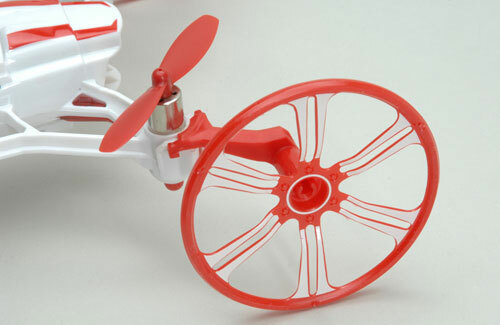 Finally, there is �big wheel� mode designed to enable you to climb walls or run along the roof and give the most protection. 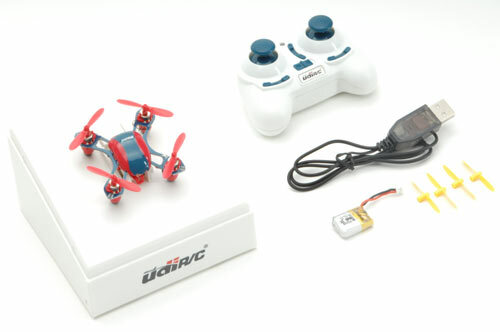 As you would expect from UDI it has 6-axis stabilisation and comes prebuilt in the box, all you need to do is add 6 �AA� batteries to the Tx and charge the Li-Po using the included charger. 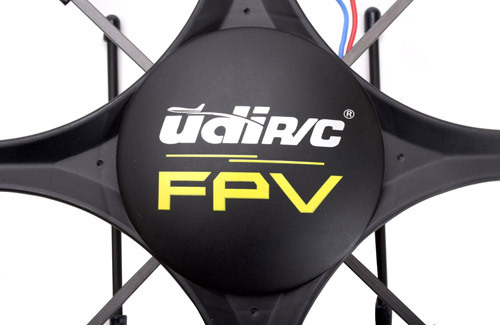 FPV stands for 'First Person View' and just like in a video game it means you see the action as it happens from onboard the quadcopter itself. 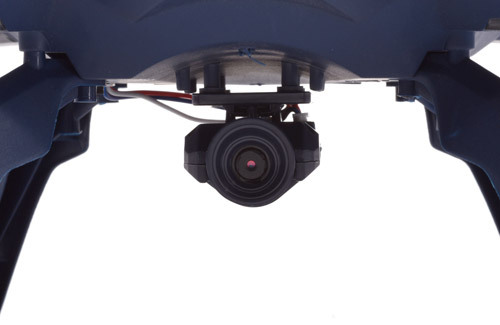 A micro camera is built onto the bottom of the body that streams video live to the large colour screen in the middle of the transmitter. 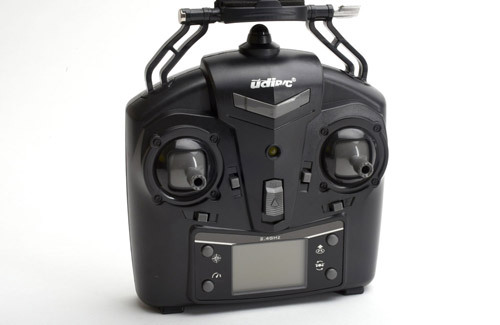 UDI�s latest quadcopter is the Glede FPV Wi-Fi. 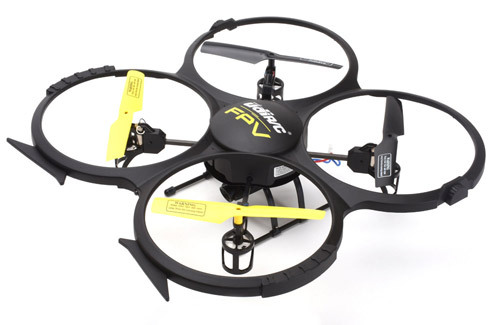 Experience �First Person View� flying through your phone screen as you fly. 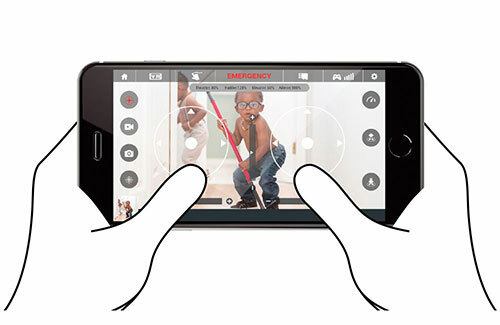 Just bind your phone to the Glede Wi-Fi signal and video is instantly transmitted to the app. 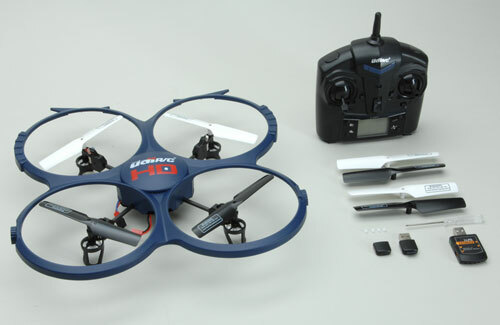 You can fly on your phone screen using the touch screen or clip your phone on to the included transmitter and watch the video as you fly. 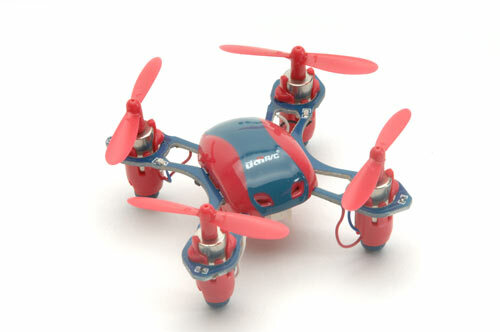 You can control all of the quads functions through the app, even starting and stopping video recording. 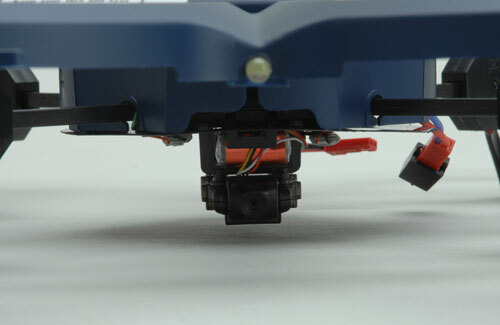 The micro HD camera can also store to an on-board SD card. 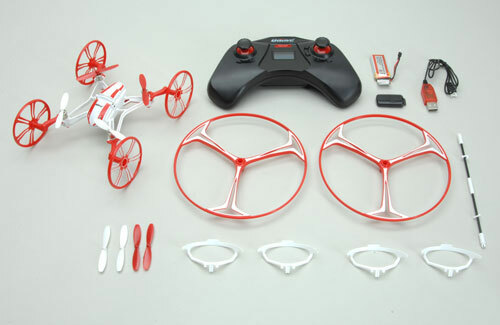 The Glede is easy to fly and can be assembled in minutes, ready for your next adventure.